SAFARI BIRTHDAY TOURS ARE SUITABLE FOR CHILDREN TURNING 6 AND OLDER. Held on weekends with a duration of approximately 1 and 1/2 hours, our Safari Birthday Parties include lots of animal interactions for the children. Your own private Guide will meet you at reception and will take your group on a Safari Tour around the Zoo! All children will meet and feed some of our amazing animals. Encounters may include visiting the Aquarium, exploring the touch pool, feeding the sharks and fish and holding a friendly reptile, watching the inquisitive Lemurs solve their food puzzle enrichment, feeding or patting natives or the cute fallow deer and alpacas. Rest assured the birthday child will be made to feel special on their big day. Adults in your group can choose to accompany the children and watch the action. As the Tour price includes all day entry to the Zoo for everyone, why not either come earlier or stay later, and make use of our BBQ and picnic facilities for a celebration lunch or even afternoon tea? * Children also receive Zoo activity bags after the tour to continue the fun at home! See the links below for Printable Invitations and Indemnity Forms (permission forms) that should be sent out with your invites. Indemnity forms are required for each child to participate in feeds. Prices start at $375 for up to 10 children with 2 adults free of charge. Up to 5 extra children are $20.00 pp and extra adults are $40.00. Bookings are essential. To check availability or to make a booking, click here. Due to popularity, bookings should be made 3 to 4 weeks in advance to avoid disappointment. *Please note that food is not included. For the safety of our animals, no balloons or streamers are allowed. Please note that Tours go ahead in all weather conditions (with the exception of extreme weather) so please dress the children accordingly. 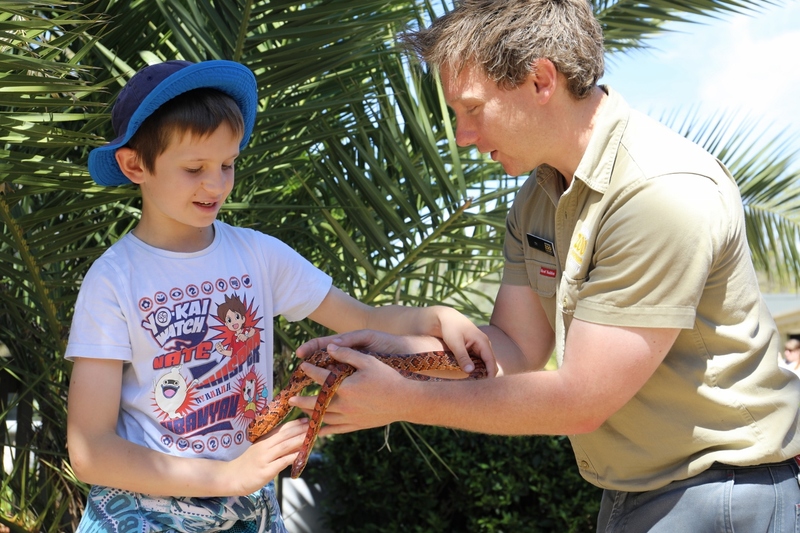 For further details, contact the team by email at frontdesk@nationalzoo.com.au or phone 02 6287 8400. Gift Vouchers are available and are valid for 12 months. Purchase Gift Vouchers online and print them or email them to the recipient. To redeem one of these new National Zoo Online Vouchers Click Here.